The Broadway Bound Vista Theatre Project (BBVTP) presented the South Carolina premiere of Lost in My Wonderland, a new full-length musical adaptation of Alice in Wonderland, August 2-5, 2018, in Cardinal Newman School’s Anna Tronco Williams Performing Arts Center, 2945 Alpine Road. 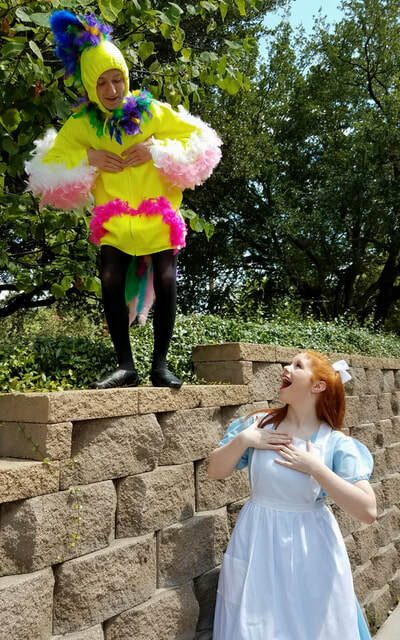 ​However, when Alice made her way through Wonderland with the BBVTP, it was quite unlike anything Lewis Carroll envisioned. Lost in My Wonderland finds Alice in 1899, falling through a rabbit hole and magically into the future. She travels through decade after decade, meeting familiar Wonderland characters throughout her journey. 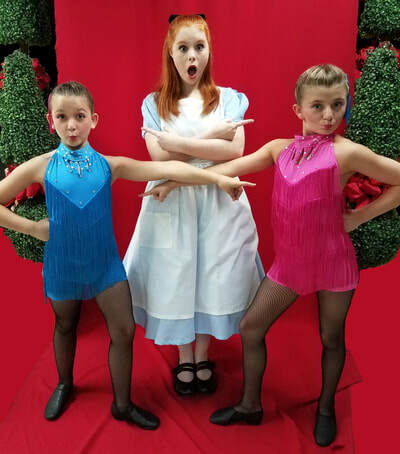 Ending in the Swinging '60s, this musical fantasy takes audiences through the Roaring '20s, Hollywood of the '30s, Big Band '40s, and the Beatnik '50s with a myriad of dance styles featuring the delightful residents of Wonderland! Lost in My Wonderland received its first full-scale production in 2016 at Long Island's Madison Theatre under the direction of international choreographer Baayork Lee (the original Connie in A Chorus Line). 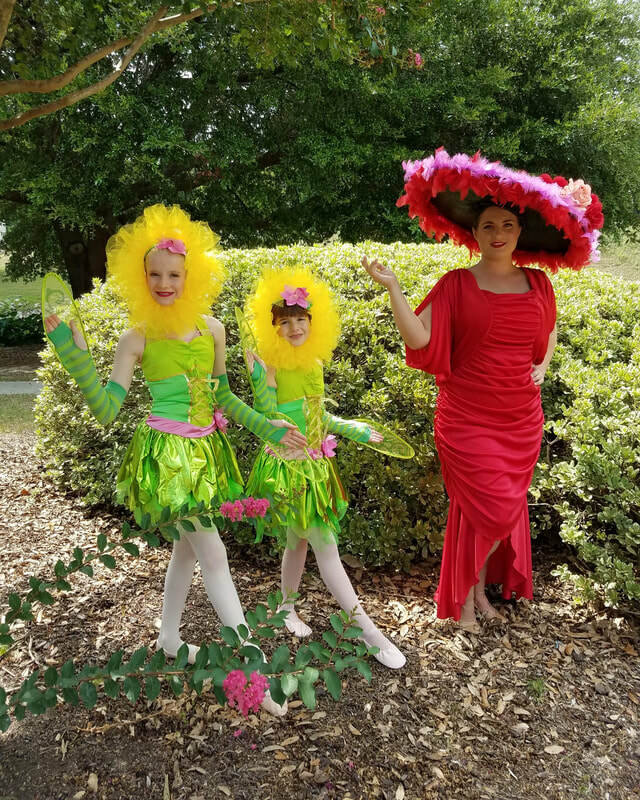 After seeing a performance of the show, Dedra Daniels Mount, director and choreographer of the BBVTP production, returned to South Carolina with the idea of optioning this new work for Columbia theatergoers. Working with Lost in My Wonderland authors Andree Newport and J.K. Langlois and composer/lyricist Mark York, Ms. Mount and musical director Michael Simmons were excited to offer the show's youth and adult performers the opportunity to breathe life into these new spins on familiar characters. "Everyone will walk away with a powerful message -- to believe in yourself," said composer York. "We all walk to a different beat, and that's what makes the world great. It's a wonderful adventure, and the audience will enjoy sharing Alice's discoveries as she goes into the future. Of course, there's dancing and singing all the way through. When I write, I think of a Broadway musical. When people think of Alice in Wonderland, they think of a kids' show, but this one isn't. Adults love it, and kids love it. There's something for everyone, but it's not just a kid's show." Mattie Mount (BBVTP's Seussical, Snoopy!! !, Oliver!) 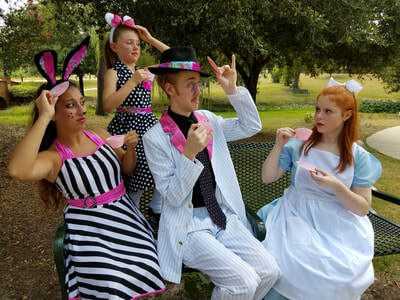 appeared as Alice, with Jacin Prevatte (Village Square Theatre's Beauty and the Beast Jr.) as the White Rabbit, Daniel Niati (Trustus Theatre's Memphis) as the Cheshire Cat, David Quay (Seussical) as the Mad Hatter, Rachel Milas (Seussical) as the March Hare, Ed Davis (Snoopy!!!) as the Caterpillar, Heather Hinson (Seussical and Town Theatre's The Addams Family) as "flower garden gossip columnist" Rosella Parsons, and Leighton Mount-Rossi (Seussical) as the Queen of Hearts. Also featured in the 40-member cast were Tucker Privette as the Dodo Bird; Merritt Horan and Isabella Wolan as Tweedle Dee and Tweedle Dum; Dani Wolan as the Door; Olivia Timmerman and Sydney Davis as the Walls; Leighton Ford as the Dormouse; and Sandi Castillo, Zenya Gantt, and Jenna Brice as The Directions. A silent auction of "Alice in Wonderland" items was held throughout the run of the show as a fundraiser for the Broadway Bound Vista Theatre Project, a non-profit community-based musical and dramatic performing arts organization created to present quality family entertainment and to provide opportunities for children and adults to develop talents in all aspects of theatre arts. Lost in My Wonderland was sponsored by Ken & Cheryl Wheat. Set design was by Mike Horan, with costumes by Nichole Timmerman. 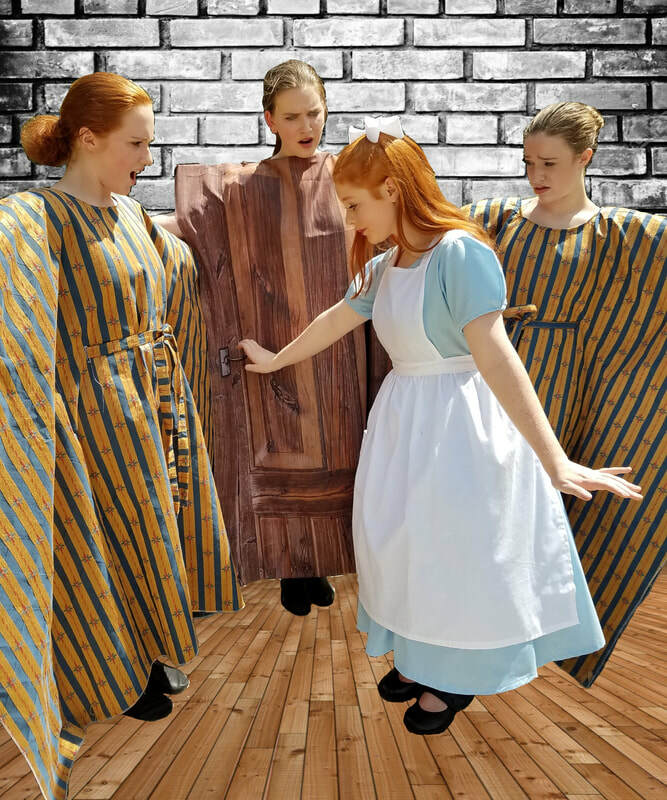 Performances were 8 p.m. August 2-3 and 3 p.m. August 4-5. Tickets were $15. ​Click the photos below for a larger view.